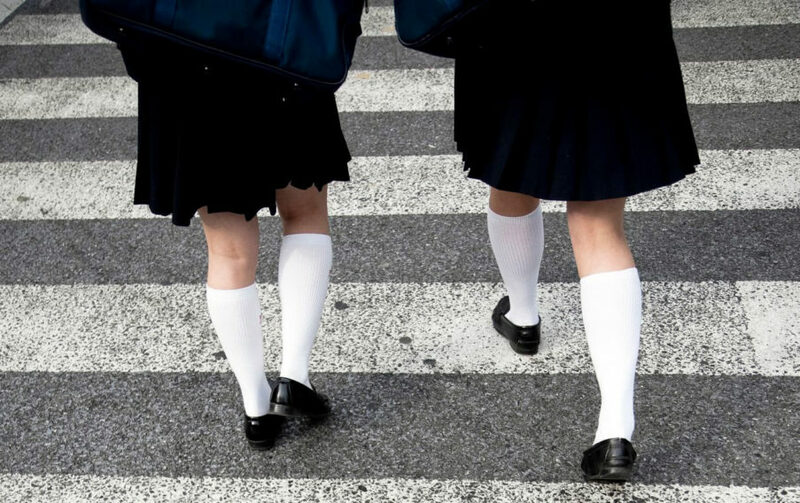 A North Carolina charter school’s requirement that girls wear skirts has been struck downby a federal judge. Two state-level bills that would loosen rules on “public-private partnerships” in Connecticut have run into resistance. 1) National: As Education Secretary Betsy DeVos calls for $5 billion in tax credits to promote school privatizationand, as a new report by the Network for Public Education documents, the federal government has wasted millions on charter schools, she tries to zero out federal support for the Special Olympics. Rolling Stone called DeVos’ idea “cartoonishly evil.” The ensuing uproar caused Trump to climb down on Special Olympics defunding. 19) Wisconsin: A new report shows that voucher and charter schools will reduce aid to public schools by nearly $193 million. “Pope released the report as legislators prepare to begin revising Gov. Tony Evers’ state budget. The plan calls for capping voucher enrollment in 2021 and eliminating an income tax deduction for private school tuition.” For more on the impact of voucher programs on Wisconsin communities, see this piece by Jane Parish Yang, James Bowman, and Nancy Jones in USA Today. 20) International: In February 2019 the Abidjan Principles on the human rights obligations of states to provide public education and to regulate private involvement in education were adopted in Côte d’Ivoire following a three-year participatory consultation and drafting process. You can read about them here. 23) National: Two dozen migrants held at an ICE-contracted facility run for profit by LaSalle Corrections have continued a hunger strike “to protest their detention as many wait for asylum claims to be processed in the U.S. Immigrant advocates told The Associated Press that 150 people began the strike last week, but government officials say only 24 have consistently denied food. The strikers at River Correctional Center in Ferriday, La., say they are upset over being denied bond and the lack of attention they say their cases get.” LaSalle is facing a lawsuit in Texas over its role in the death of an inmate and use of excessive force. 24) National: The GEO Group, one of the nation’s largest for-profit prison companies, has released its proxy statement covering the year 2018. George Zoley, GEO’s CEO and board chair, was paid total compensation of $6,963,460. His compensation over the past three years was $21,804,114. Compensation of the top five officers, including Zoley, was $14,600,315 in 2018 (total of comp figures p. 36). Over the past three years, the officers were paid $45,558,172. 25) National: The REITs are feeling the heat, and hinting they are looking at coming elections. A interesting note can be found in Highlands REIT, Inc.’s new 10-K for 2018. The company leases a Hudson, Colorado correctional facility to GEO Group expiring in 2020. (see p. 27). Highlands notes “public resistance to privatization of correctional facilities could negatively impact our tenants at such facilities, which could have an adverse impact on our business, financial condition or results of operations. The management and operation of correctional facilities by private entities has not achieved complete acceptance by either government agencies or the public. (…) In addition, the movement toward privatization of such facilities has encountered resistance from groups, such as labor unions, that believe that correctional facilities should only be operated by governmental agencies. Changes in governing political parties could also result in significant changes to previously established views of privatization. Increased public resistance to the privatization of correctional facility could have a material adverse effect on our tenants who operate in this industry, which could adversely impact the value of our correctional facility asset, our ability to re-lease such asset upon expiration of the existing lease term and our results of operations.” (pp. 11-12). A similar statement can be found in CoreCivic’s recently released 10-K (p. 33). 26) National: Are real estate tax incentives (e.g., for REITs such as the GEO Group and CoreCivic) skewed to incentivize the wrong types of real estate by feeding “a growing problem in real estate: too many too-big houses”? 27) California: A bill, AB32, has been introduced that would put an end to private prisons in the state. “Existing law establishes the Department of Corrections and Rehabilitation and sets forth its powers and duties regarding the administration of correctional facilities and the care and custody of inmates. Existing law, until January 1, 2020, authorizes the Secretary of the Department of Corrections and Rehabilitation to enter into one or more agreements with private entities to obtain secure housing capacity in the state or in another state, upon terms and conditions deemed necessary and appropriate to the secretary. Existing law, until January 1, 2020, authorizes the secretary to enter into agreements for the transfer of prisoners to, or placement of prisoners in, community correctional centers, and to enter into contracts to provide housing, sustenance, and supervision for inmates placed in community correctional centers. This bill, on or after January 1, 2020, would prohibit the department from entering into or renewing a contract with a private, for-profit prison to incarcerate state prison inmates. The bill would also prohibit, after January 1, 2028, a state prison inmate or other person under the jurisdiction of the department from being incarcerated in a private, for-profit prison facility.” The bill is now in the Committee for Public Safety, which voted 6-0 to approve it in an initial action. 28) Idaho: The state is looking to negotiate a new contract with a private, for-profit prison companies, but its bad experiences in the past are complicating the picture. The current contract is with GEO Group, pays $69.95 per inmate per day. “In a series of reports, BW/Idaho Press also uncovered a string of concerns at the GEO-owned Eagle Pass Correctional Facility in Texas, where the majority of Idaho’s out-of-state inmates remain. Those included leaking roofs, inadequate visitation facilities, a long list of health concerns and, in early January, the death of an Idaho inmate. Following the Jan. 6 death of inmate Kim Taylor, a post-mortem investigation into the incident concluded that ‘medical response is where the problem lies,’ and that ‘there appears to be a deficit in critical thinking skills’ in that area at the Eagle Pass facility. 29) Nevada: A bill seeking to ban private prisons has passed a legislative hurdle. AB183 requires that “the core correctional services at each such prison or jail must be performed only by employees of the State or a local government, as applicable, and not by a private entity.” An additional section tightens up rules for outsourcing where necessary, for sending inmates out of state, and requires a report back on its performance to the Director of the Legislative Counsel Bureau for transmittal to the 38 Legislative Commission. 30) National: A very content-rich panel discussion on VA privatization vs. a single payer system was held at the University of Washington a couple of weeks ago. Panelists included Suzanne Gordon, author of Wounds of Warand a Senior Policy Fellow at the Veterans Healthcare Policy Institute. [Video, about an hour and 40 minutes]. 31) Colorado: Greeley is caught up in both a transition of outsourced trash collection from Northern Colorado Disposal to Waste Management, and in a crisis over recycling. “They used to pay us for it, and then they quit paying us for it, and now they charge us for it,” Bunting said. The Greeley Tribune urges public officials to stop avoiding the issue.